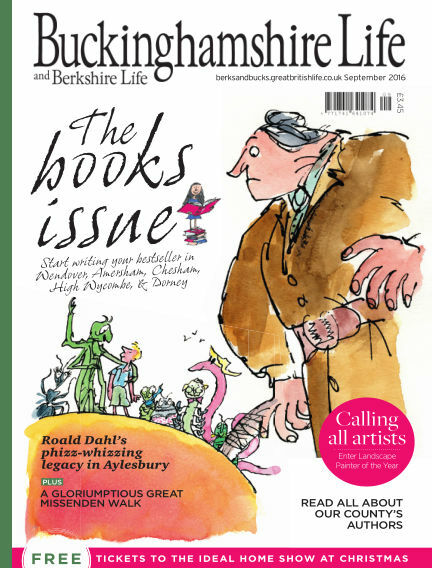 In this issue of Buckinghamshire Life : The Books Issue: Start writing your bestseller in Wendover, Amersham, Chesham, High Wycombe, & Dorney - Roald Dahl’s phizz-whizzing legacy in Aylesbury - Read all about our county's authors - Calling All Artists: Enter Landscape Painter of the Year - A Gloriumptious Great Missenden Walk. With Readly you can read Buckinghamshire Life (issue September 2016) and thousands of other magazines on your tablet and smartphone. Get access to all with just one subscription. New releases and back issues – all included.